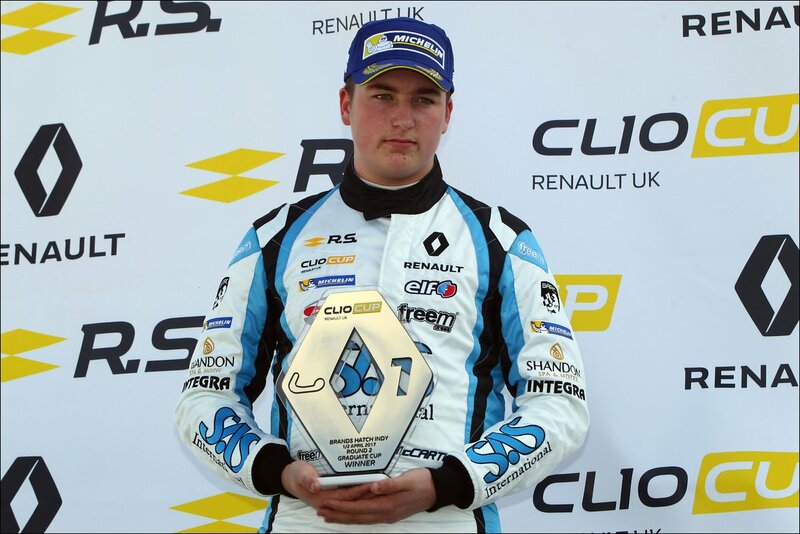 Jack McCarthy graduated from karting to contest the Renault Clio Cup Championship with Team Pyro. 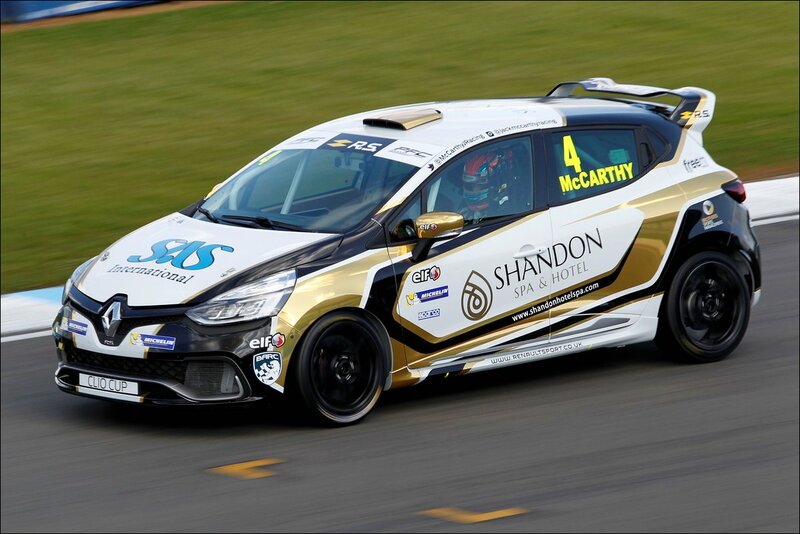 With this step up into car racing, a fresh livery was required for Jack and his sponsor Shandon Hotel & Spa in preparation for the 2017 Season ahead. 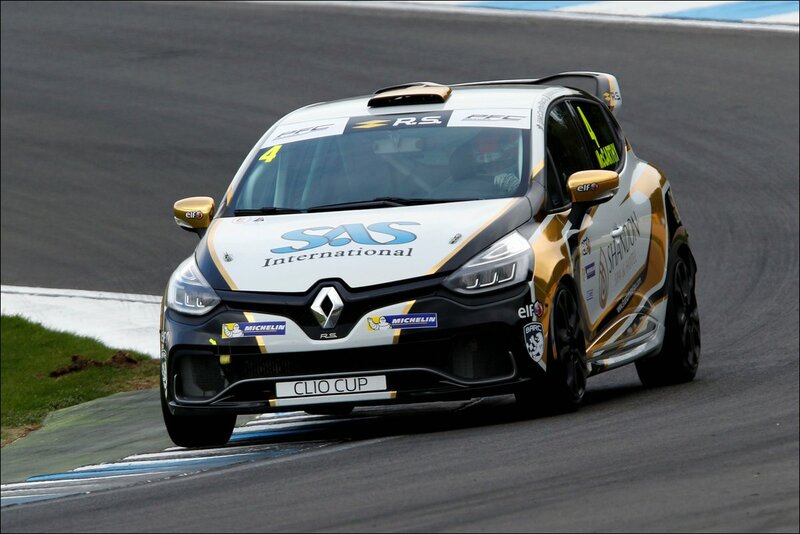 Initial discussions regarding Jack's 2017 season began when MDM Designs were approached to create a Sponsorship Brochure and Proposal for Jack, in order to attract potential partners to support him financially in the Renault Clio Cup. A brochure was created which contained all the information on Jack's lucrative karting career, including all his British and European Championship success. 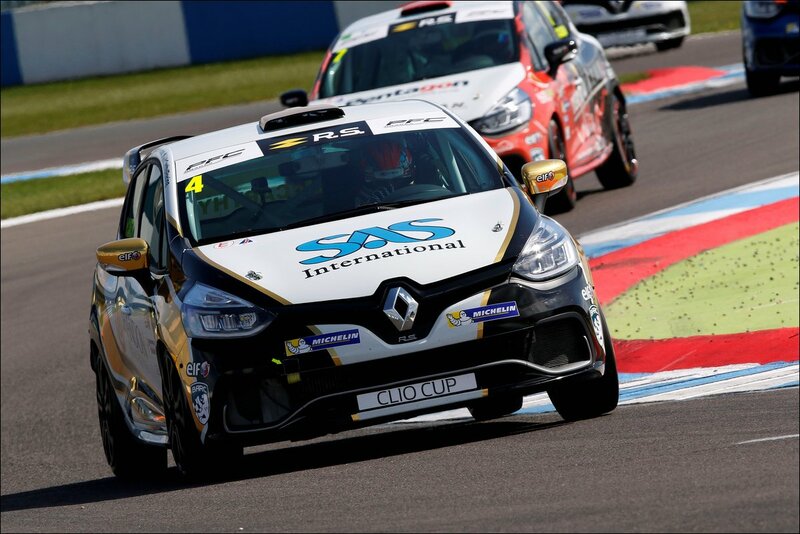 Championship information on the Clio Cup, the race dates, hospitality benefits and the televised coverage opportunities were also included in the proposal. The aim was to include as much information on what the partners would receive in return for financial investment and make their partnership work well both ways. A livery and racewear concept was created which outlined the possible areas where certain degrees of financial investment would gain brand exposure and coverage in the designs of the car and racesuit respectively. 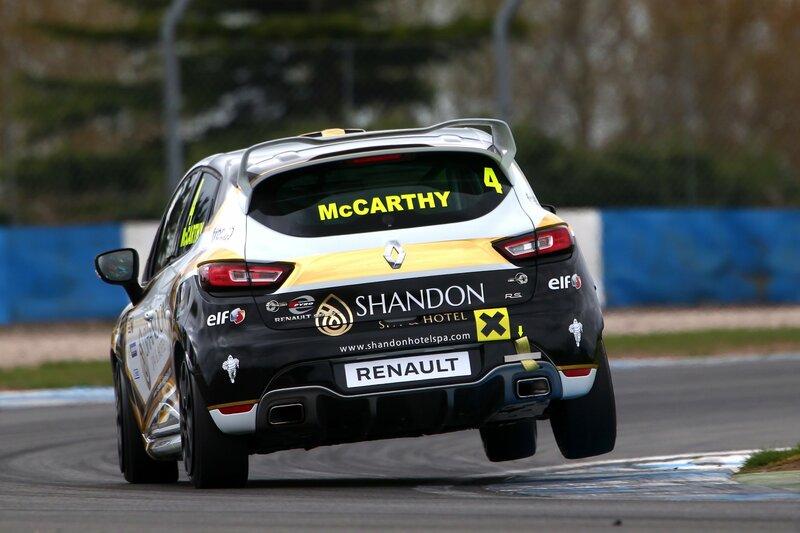 The brochure emerged as a great success, as Jack and the team managed to secure financial backing from Shandon Hotel & Spa, as well as SAS International to support Jack's maiden season in car racing. 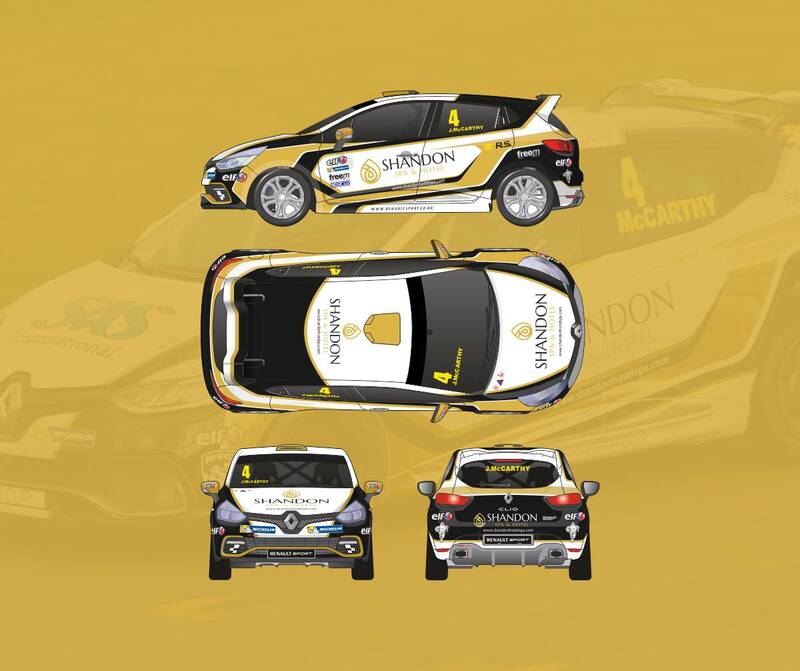 With the sponsors confirmed for the car, the colour scheme was set to be gold, black and white - to blend in with the Shandon brand guidelines. The initial concept for the side on view of the car was created in order to confirm the baseline design and logo positions - alongside mandatory series partner logo locations. The decision was made to go for a gold chrome vinyl, which transformed the car into a great mix of light and dark colours on track - reacting brilliantly to light when on the circuit. The remaining views of the car were then completed for both sides, the front, the roof and rear of the car - providing visuals from all angles on the new livery. After working through the feedback and last amendments, the final design as visible on this page was then confirmed and completed. The final vector artwork was then sent on to Slam Signs - MDM Designs sent over the artwork unclipped from the Clio Cup template and all logos as seperate vector files, to allow the wrappers to work easier with the design and assist as much as possible to reduce production time for the final livery. The final result was a nice balanced mix of light and dark colours, with that gold chrome shine to lift the whole design - as per the photos above and below. MDM Designs have designed five liveries for Team Pyro drivers, most recently the liveries for Josh Price in 2015-2017, and Lorcan Hanafin's Clio Cup Junior Livery - ready for the new junior series championship launch later this year and into 2018.